Supervises or performs personnel and administrative functions in support of company, battery, troop; detachments at division, corps, and echelons above corps; in brigade and battalion S1's or in other similar organizations, activities and units; and advises the commander, the staff, and unit Soldiers on human resource matters. The human resources specialist also participates in occupational classification and management of human resources or supervises personnel management of human resources or supervises personnel management activities to include maintaining officer and enlisted personnel records and processing personnel actions concerning Soldiers and their families. Prepare personnel accounting and strength management reports. Prepare and reviews personnel casualty documents. Monitor appointment of line of duty, survivor assistance and summary court officers. Processes line of duty investigations. Prepare letters of sympathy to next of kin. Prepares and processes recommendations for awards and decorations and arranges for awards ceremony. Prepares, updates, and coordinates requests for evaluations, to include responding to evaluation inquiries. Prepares and monitors requests for promotions and arranges for promotion ceremony, to include promotion declinations, reconsideration for promotions, and arrange for reduction and removal boards for Soldiers on local promotion standing lists. Processes centralized and decentralized promotions and reduction actions. Prepares and monitors requests for reductions, transfers, and discharges. Prepares and monitors requests for identification cards and tags, leaves, and passes, line of duty determination, MILPER data and information management, orders for temporary duty and travel, personnel processing, personnel security clearances, training and reassignment, retention, military and special pay programs, personnel accounting and strength management, transition processing, meal cards, training Soldier support file, and unit administration. Apply knowledge of provisions and limitations of Freedom of Information and Privacy Acts. Requisitions and maintains office supplies, blank forms, and publications. Types military and non-military correspondence in draft and final copy. Prepares and maintains functional files per MARKS. Evaluate personnel qualifications for special assignment. Prepares and processes requests for transfer or reassignment. Process classification/reclassification actions. Prepare orders and request for orders. Prepares and maintains officer and enlisted personnel records. Transfer records. Process personnel for separation and retirement. Process applications for OCS warrant officer flight training or other training. Processes bars to reenlistment, suspension of favorable personnel actions. Initiate action for passports and visas. Processes requests and prepares identification tags and cards. Types correspondence and forms in draft and final copy. Posts changes to Army regulations and other publications. Postal Sergeant of the JMMT providing postal support within the USFK; handles and processes on average 25,000 lbs of mail daily. Processes/dispatches mail by providing personnel, materials, transportation equipment, and supervision necessary to the performance of loading and unloading airline containers, loading/unloading mail, and transporting US mail delivery services between Incheon Airport and APOs throughout Korea as specified by the US Government. Train subordinate leaders to be tactically and technically proficient in all areas and continually develop them to assume increased responsibility and authority. Foster a culture that affords all members of the JMMT the opportunity to achieve maximum professional and personal development and that treats all Soldiers with dignity and respect. Supervises specific human resources functions in a personnel office, Battalion S1 and human resources support activity. Advise commanders on Soldiers and personnel readiness and strength levels of supported reporting units. Reviews consolidated reports, statistics, applications, and prepares recommendations for personnel actions to higher headquarters. Reviews and prepares reports and data on strength (gains and losses) of personnel and makes duty assignments of enlisted personnel. Review cyclic and other reports to assess systems performance. Maintain liaison with servicing data processing facility and field managers of interfaced systems. Supervises HR office, specific human resources functions, Battalion S1 and human resources support activity. Performs duties of and supervises the functions of preceding skill levels to include quality assurance of product. Advise commander, adjutant and other staff members on personnel administration activities. Human Resources Sergeant: Serves as the Human Resources Sergeant for a multi-component ___________ Brigade consisting of _#_ battalions, organized into _#_ Active Component battalions and _#_ Reserve Component (RC) Logistical Support Battalions (LSBNs) across _#_ states; responsible for personnel actions for over _#_ Soldiers and Civilians; review consolidated reports and statistics and prepares recommendations for personnel actions to higher headquarters; processed out demobing reserve and national guard Soldiers returning from theater; manage the brigade sponsorship program; responsible for the health and welfare. Recruits qualified personnel for entry into the Army in accordance with applicable regulations, supervises recruiting and recruiting support activities. Recruits, interviews, counsels and qualifies applicants for enlistment. Distributes and displays recruiting publicity material. Identifies and cultivates community centers of influence. Explain benefits. Prepare enlistment forms and documents. Arranges for transportation, meals, and lodging for applicants where required. Assists in market research and analysis and makes appropriate recommendations to the chain of command. Utilizes and analyzes management data to evaluate subordinates' performance. Conduct professional development programs. Accomplishes administration, prepares plans and SOPs. Maintain statistics on recruiting programs. Maintain enlistment publications and administrative files. Prepare enlistment reports. Plans, organizes, and coordinates recruiting activities. Develops and directs training programs to assist subordinates. Plans and conducts seminars and conferences. Assigns duties and evaluates performance of subordinate recruiting personnel. Conduct inspections to ensure proper and efficient operation and management. The USAR recruiter also performs duties shown in preceding level of skill. Assists commanders at all levels with sustaining the Army’s readiness posture and achieving their retention mission. Advises commanders on all matters relating to the Army Retention Program, ensures mission accomplishment and processes reclassification actions. Process Bars to reenlistment. Counsels, reenlists, extends or transitions qualified Soldiers in the Active and Reserve Component to achieve the command’s retention mission. Conducts staff assistance visits. Manage a retention program budget. 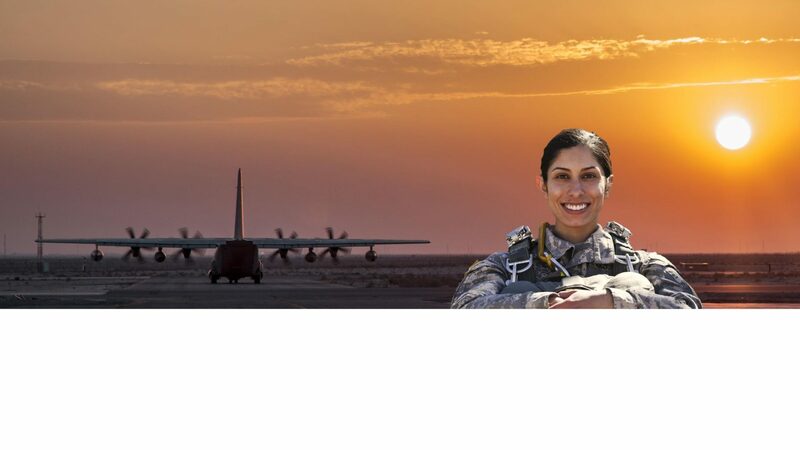 Provides career counseling to Soldiers. Conduct retention interviews. Determines Soldiers’ eligibility to immediately reenlist or extend their enlistment, to include options and bonuses; prepares and reviews reenlistment and extension documents for accuracy; coordinates retention ceremonies. Advise commanders on criteria for selection of unit level retention NCOs. Advises Soldiers on all aspects that could impact their decision for continued service, to include the Declination of Continued Service Statement. Evaluate and trains unit level retention NCOs. Brief leaders, Soldiers, and families on matters relating to retention and reclassification actions. Maintain liaison with local personnel, agencies and finance offices. Manage retention mission, statistics, incentives and awards program. Performs duties shown in preceding skill level and provides technical guidance as required. Review retention actions for accuracy. Interpret regulations and provides guidance to subordinates. Assist in the development and direction of command retention programs. Coordinate with strength managers to ensure command’s readiness posture. Plans, coordinates and conducts retention training. Explain unit performance data to leaders and superiors. Evaluate subordinate’s conduct of a retention interview. Determine Soldier’s eligibility and recommends Soldiers for retention duty. Plans and conducts retention training. Performs duties shown in preceding skill levels and provides technical guidance as required. Analyzes retention trends; provides leadership, mentorship, and training, and recommends courses of action to achieve the commander’s retention mission. Reviews packets, interviews and recommends Soldiers for retention duty. Serves as the Field Reclassification Authority (FRA). Recruits and retains qualified soldiers for entry into the Army National Guard in accordance with applicable regulations. Supervise recruiting and retention activities. Prospect for leads. Prepare a prospect card. Refines leads. Conduct a school program. Determine basic enlistment eligibility. Pre qualifies an individual for enlistment. Determine eligibility for extension or immediate reenlistment. Conduct enlistment, attrition management and retention interviews. Explains the selected reserve incentive program and the Montgomery GI Bill, initial entry training (IET) requirements, test results, enlistment options/programs/obligations, non regular service retirement, employer support and reemployment rights. Evaluate unit sponsorship program. Brief applicant on MEPS processing. Prepares and completes an enlistment packet. Counsel an applicant. Operate Guard Accession Information Network System. Establish media contacts. Conduct direct mail campaigns. Evaluate the unit's retention environment. Explain strength maintenance recognition programs. Conduct a strength maintenance interview and briefing. Develop a time management work plan. Trains unit first line leaders on career planning. Reviews request for separation/transfer/discharge. Review extension/immediate reenlistment procedures. Identifies alternatives to separation/transfer/discharge. Evaluate retention data, forms and files. Analyze unit pay and performance data. Initiate security for family assistance operations. Explain the National Guard Family Program. Identifies resources for family assistance. Provide referral services for family members. Prepare DD Form 1172 for DEERS enrollment, issues ID cards for family members during mobilization. Develop a state marketing plan. Prepares and advertising budget. Determine regulatory requirements for advertising. Write recruiting and retention advertising copy and script. Performs duties shown in preceding level of skill and provides technical guidance to lower grade soldiers in the performance of all tasks. Determine strength maintenance objectives. Evaluate strength maintenance activities. Conduct Recruiting and Retention NCO training and orientation. Develop Recruiting and Retention NCO incentive program. Prepare Recruiting and Retention NCO training program. Reviews and approves a state marketing plan. Complies and maintains production data. Analyze production management reports. Supervises Recruiting and Retention NCOs. Organizes and coordinates strength maintenance programs. Assigns duties and evaluates performance of subordinates. Inspect strength maintenance activities. Identifies, investigates, and takes corrective action in problem areas. Plans and conducts a strength maintenance seminars and conferences. Develops and directs training programs to assist Recruiting and Retention NCOs. Directly impacts the U.S. Army Reserve end strength objective by reenlisting and transitioning Soldiers. This vital element is impacted through the transitioning of Inactive Ready Reserve (IRR) Soldiers to the Selected Reserve (SELRES), reenlisting Army Reserve Soldiers, prospecting and assisting Soldiers on the following actions: become Army Reserve warrant officers, complete the direct commissioning process, access into AGR CMF 79; and assisting in supporting non-participant recovery programs. Provides guidance and career counseling to Soldiers of the Army Reserve; identifies eligible Soldiers for transfer into a Troop Program Unit (TPU); conducts reenlistment and transition interviews; provides incentives and benefit information to Soldiers ; determines Soldier eligibility for reenlistment or extension; prepares and processes reenlistment, extension, or transition documents; prospects and identifies eligible Soldiers to fill vacant warrant officer positions; prepares and submits warrant officer application packets; prospects and identifies eligible Soldiers to fill vacant officer positions; prepares and submits direct commissioning packets; coordinates reenlistment ceremonies; prospects and identifies eligible Soldiers to fill vacant CMF 79 AGR positions, assists in preparation and submission of AGR packets for CMF 79; brief leaders on matters relating to reenlistment and transition activities. Performs duties shown in preceding skill level; leads, manages and evaluates subordinates and programs; reviews program actions for accuracy and attainment of METL objectives; provide accurate interpretation of regulatory reenlistment and transfer policy to Army Reserve Soldiers; develops and directs reenlistment and transition programs; conducts conferences and seminars; conducts assistance visits to Army Reserve units within area of responsibility; conducts reenlistment and transition training; evaluates subordinate performance and provides feedback; manage objectives, statistics and award programs; provides unit performance data to leaders and supervisors.